Modern society is not only unwilling to wait; the 21st century has gifted us with awfully short attention spans, but no filter. As such, we get thinkpieces—there may be no word that more needs to be banished from the dictionary of the Internet—like this one, from Adriane Quinlan, published in The New Republic on February 21st. Ms. Quinlan posits that, solely because of Wreck-It Ralph, Disney is the top dog of animation again, leaving Pixar to crumble in the dust. (Why must there, as if we’re living in the Highlander universe, only be one? Is it so terrible for a person to appreciate and admire the work of multiple studios, as they do multiple directors or actors, without claiming one has to be better?) At no point in the article does she acknowledge Tangled, or the fact that it grossed more at the domestic and worldwide box office than Wreck-It Ralph, because that would reveal her points as being shaky at best. The article is also, sadly, riddled with vexing little errors, such as classifying Cinderella II as a Disney Animation product, when it came from DisneyToon Studios, a totally different outfit than that which created Chicken Little; as well as linking to an old Time article that floats the recently revived and totally false rumor that Toy Story 4 is coming sooner than you think. Ms. Quinlan takes this rumor as fact, even though that would require official confirmation or well-placed insider information, of which there are neither. Quinlan’s piece, though, spends most of its time comparing Ralph and Brave, the former of which she considers far more groundbreaking and impressively original than the other, more Pixar-like in its execution. 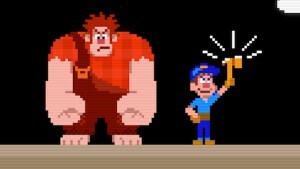 (This, despite her willingness to point out exactly which Pixar films and shorts Wreck-It Ralph pays homage to, or rips off, depending on your mileage: “The film even included…one of Pixar’s odder storytelling devices—a quirky group therapy session…[a steal from the short Small Fry]…”) And certainly, among most people who grew up with Pixar, those who were children when the first Toy Story premiered in 1995, Wreck-It Ralph was seen as better than Brave, a story that spoke to them more directly and felt more impactful. Where Quinlan’s article, and many frustrating attacks on Pixar in recent memory, fails is in ignoring the larger truth to prove a faulty point: Pixar’s not shying away from the original any more than they did at the inception of their feature films. As of this writing, Pixar’s released three sequels, and their fourth, Monsters University, opens in June. Their fifth, Finding Nemo 2, is slated to open in 2016. (Prepare to get a virtual sore throat from reminding people that Planes isn’t technically a Pixar film, Cars connection aside.) All we can judge safely and surely is what already exists in terms of their unoriginal product: Toy Story 2, Toy Story 3, and Cars 2. Two of those films are widely considered to be among the greatest sequels ever made, qualitative bars to clear not only for the animation industry, but for all of Hollywood. This isn’t to say there wasn’t a general level of wariness before the second and third Toy Story films opened, but almost everyone would agree that caution was for naught. In 2010, upon Toy Story 3’s release and subsequent, nearly unanimous popularity among critics and audiences, no one questioned Pixar’s status as a studio almost impossibly capable of consistent perfection. In 2011 and 2012, they dared to prove their humanity with lesser full-length efforts, especially the Cars follow-up, so people believe they deserve to be scorned in perpetuity. The cries online when Brave won the Golden Globe for Best Animated Feature were loud and aggravated, and will only be more so now that it’s received the Oscar. 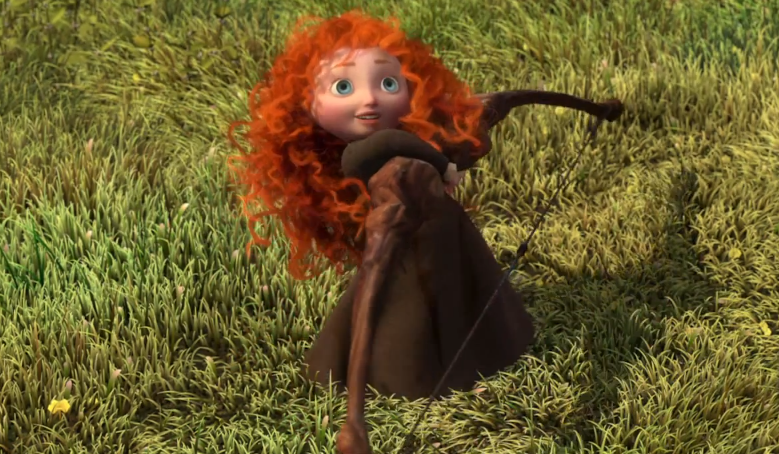 How dare Hollywood award Brave simply because it’s from Pixar? Surely it’s not because anyone—shudder—liked the film. In short, Pixar has not failed us. They, like a star athlete who trips up after months or years of unmatched quality, proved only their ability to make mistakes, that the people working there are just like you and me. It may be disquieting to acknowledge that these men and women, creators of vast and exciting worlds filled with toys, bugs, monsters, superheroes, and more, would whiff every now and again. That doesn’t mean the correct response—common or not—is to mock them and bemoan Pixar’s fate from now until they go belly up. Ms. Quinlan is but one of many to do so, using Monsters University and Finding Nemo 2 as evidence that Pixar now is like Walt Disney Animation Studios was in the mid-2000s, floundering and attempting to grab a quick buck from unsuspecting audiences. Both of these movies, admittedly, might be unmitigated disasters or mere disappointments, the latter of which could be worse in the long run. The most aggravating aspect of this “Pixar is dead, long live the new animation king” argument is simple: it’s deliberately narrow-minded. If Ms. Quinlan were to discuss three of Pixar’s future, in-production projects, The Good Dinosaur, Inside Out, or Lee Unkrich’s Dia de los Muertos-themed movie, she’d open herself further as making a pointless and silly argument. Why acknowledge the original films Pixar’s working on when you want to decry them for doing the opposite, and only the opposite? The reaction the growing crowd of Pixar concern trolls have when anyone reminds them of these high-concept projects—movies that could be as good or bad as the impending sequels, but aren’t based on something else, which is the sticking point—is, essentially, “Yeah, but Cars 2. Yeah, but Brave.” And so on. Can you be skeptical of Pixar after they announce a sequel to a film that ended so definitively as to make a follow-up sound impossible, such as Finding Nemo 2? Of course. Quizzically raising your eyebrows is vastly different than being so critical of what might happen in Pixar’s future that you presume the absolute worst instantly. How can we write off a collective of men and women who brought us the story of a positively human bunch of toys, or of how adults grapple with being responsible role models for their children while fighting evil, and on and on? Pixar’s past is as important as its future, yet arguments like Quinlan’s don’t acknowledge it because all that matters is The Now. In The Now, we hear rumors of Toy Story 4. In The Now, we see that Albert Brooks has signed on to voice Marlin again, reteaming with Ellen DeGeneres for Finding Nemo 2. In The Now, we watch a new preview for Monsters University and find it wanting, because when we hit play on the YouTube clip, we expect it to. The Good Dinosaur? What’s that? Inside Out? Never heard of it. All that matters is what is in front of us right now, not what lies on our DVD shelves or what presents itself as a production still. As such, it makes sense that people pit Pixar against Disney, Brave against Wreck-It Ralph, at least in terms of audience opinion. (This, because the former film grossed more at the box office than the latter, by a fair bit.) It will make an equal amount of sense in a couple years, should The Good Dinosaur and Inside Out vault Pixar back into the pantheon of the present, for people to rave about how the folks in Emeryville got their groove back. “What a comeback!”, the blogosphere will declare. And what happens if, this year, all the naysayers walk into Monsters University and the next Walt Disney Animation Studios project, Frozen, and exit to find that, hey, guess what? Turns out the story of a young Mike Wazowski and James P. Sullivan is more satisfying than a new take on the tale of the Snow Queen! Maybe the roles will be reversed, or maybe both films will let us down/blow us away. We don’t allow ourselves to hope for the future when such arguments are made—Quinlan focuses more in her piece on Pixar’s recent failings after years of success, and doesn’t once mention Frozen, even though it’s got a Wreck-It Ralph crew connection in writer and co-director Jennifer Lee and would actually help her entire point make a modicum of sense—because the pop-culture blinders we wear are so constricting that it’s easier to focus on the immediate. Whatever creative status Pixar may have had after releasing Ratatouille, WALL-E, and the like is one we granted the studio; if one or two missteps allows them to fall off some societal pedestal, then maybe it’s time we stopped reacting so hyperbolically, so quickly. We are in a golden age of animation, a time unlike any other in cinema history. Once, we were lucky to see one animated full-length feature a year, and now, it’s common to get at least one a month, all from different companies. That we can even pit Pixar against Disney, or DreamWorks, or Sony Pictures Animation, or Laika is a true marvel. Ranking the best films each of these animation studios has offered is all well and good, but presuming the worst for one and the best for another, when using only the most recent example for each company, is ridiculous. 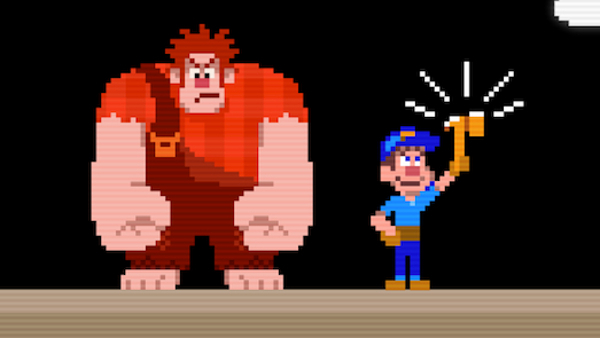 What if Wreck-It Ralph was a fluke? What if the doubts people have about Monsters University are unfounded? The lesson from pieces like Quinlan’s is simple: ignoring the past and future of Pixar and Walt Disney Animation Studios will only guarantee foolish, inappropriately narrow opinions about their present.